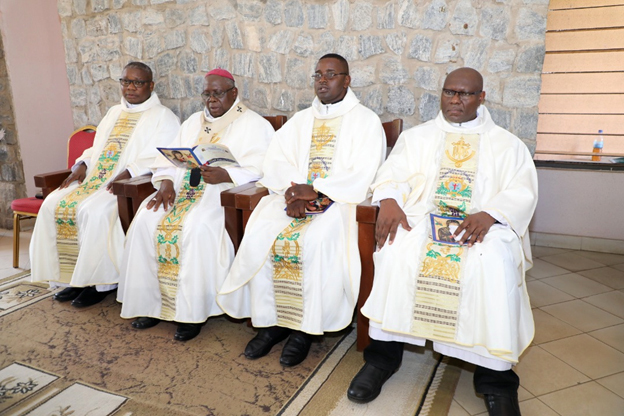 Archbishop and Redemptorist priests present with other religious and diocesan priests present on the occasion. 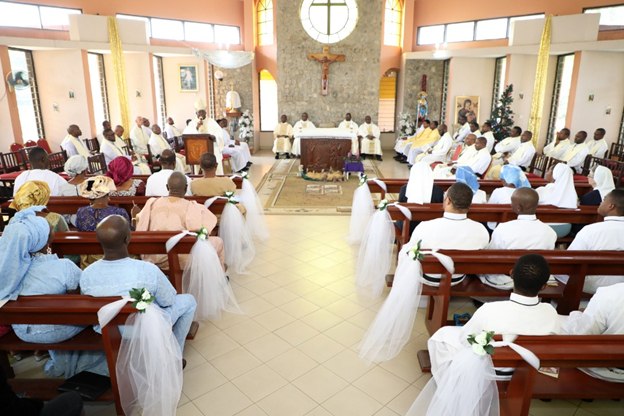 (Nigeria) The Redemptorist Vice Province of Nigeria Celebrated the Silver Jubilee of Profession of Vows of four confreres and the appreciation of Pioneer Friends on 15th December. It was a great day at the Redemptorist Spirituality Centre, km 8 New Ife Road, Kulodi Village, Ibadan, Oyo State, when all roads led to the Liguori House chapel for this occasion at 10:00 am. Fr. Kingsley Onyekuru, C.Ss.R, Fr. Daniel Aigbona C.Ss.R, Fr. Kenmaria Onuoha C.Ss.R and Fr. 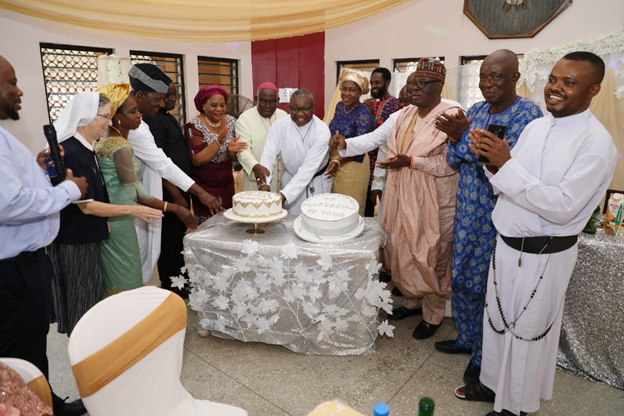 Paschal Ahanonu C.Ss.R celebrated the silver jubilee of their religious profession. 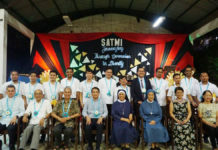 More so, The Redemptorists in the Vice Province appreciated the pioneer friends and some of them were awarded oblates of Redemptorists by Fr. Michael Brehl, Superior General. 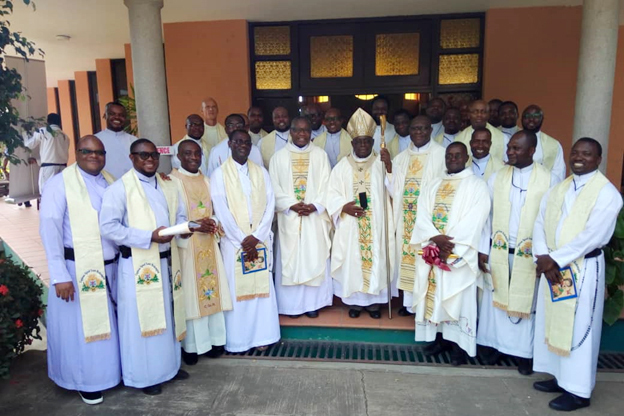 The oblates honoured were His Eminence, Anthony Cardinal Olubunmi Okogie (in absentia), Archbishop emeritus of Lagos Archdiocese, His Grace, Most Rev. 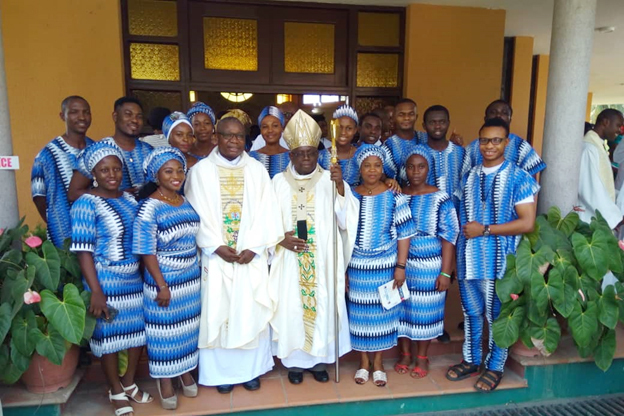 Dr. Felix Adeosin Alaba Job, Archbishop emeritus of Ibadan Archdiocese (represented by his secretary Fr. Henry Omolade), His Lordship, Most Rev. 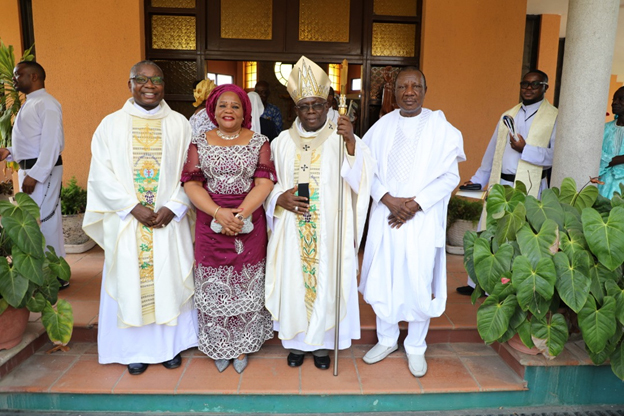 Dr. Anthony Okonkwo Gbuji, bishop emeritus of Enugu diocese (represented by his secretary Fr. Callistus Anieke). Very Rev. Fr. Dr. Michael Oyanoafoh, the chancellor of the Archdiocese of Benin City and Rev. Sr. Brid Greville of the Religious Sisters of Charity. 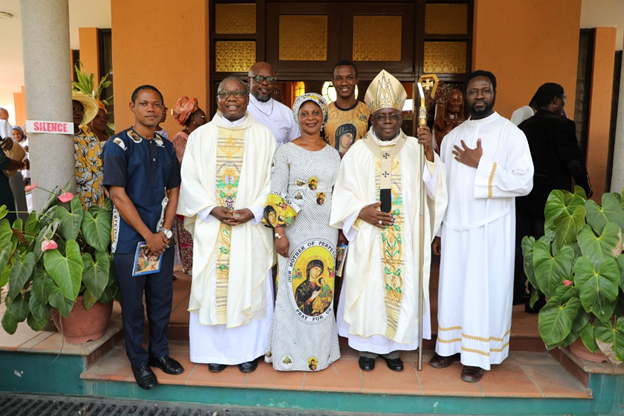 Archbishop Gabriel with Fr Joterio poses with the secretaries of Archbishop Job and Bishop Gbuji with Fr. Dr. Michael Oyanoafoh. 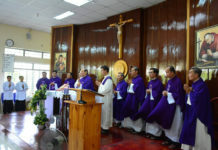 Other friends were acknowledged for their love and support for the Redemptorists in the Vice Province from the time of its foundation to date. 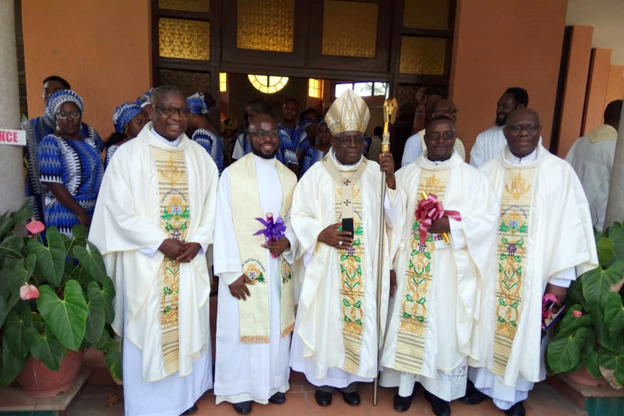 His grace Archbishop Gabriel Leke Abegunrin was the main celebrant of the Holy Eucharist and the chief guest of the occasion.